Reverse osmosis systems are the most advanced water purification systems available in the world. They offer you 100% Safe and Clean Water by allowing only water molecules to pass through their semi-permeable membrane. RO can filter out limescale, pharmaceuticals, heavy metals (including lead), nitrates, bacteria, cysts, chlorine, arsenic, industrial chemicals, sulfates and a wide list of chemicals. RO is placed under your kitchen sink, so you'll need to drill a hole on your kitchen counter (diameter 1cm) to install a tap which you'll use just for the filtered water. All reverse osmosis systems come with a 10 year warranty and FREE tracked courrier shipping! This part connects the RO drain to your kitchen sink's drain. It helps raise the RO's pressure and it makes it work faster. It helps the RO not to throw too much water down the drain. 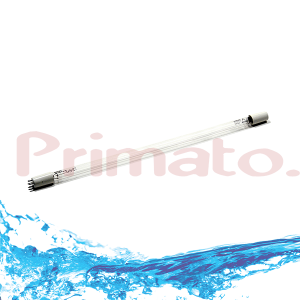 Liquid PH meter Primato PH101 measures Ph in your water. Ideal if you are an aquarium owner, since some fish can only live in a very specific environment. It is installed at the outlet of the osmosis water to the drain. It actually limits (or reduces) the flow of water to the sewer. This essentially artificially raises the pressure in the osmosis system, forcing the membrane to "work" more, producing faster clean water. The greater the number of the flow restrictor(eg 300, 420, 800 etc), the more it reduces the flow of water to the drain. The correct number for a home inverse osmosis is 300. If the flow restrictor is too strong (eg 800), it will put a lot of strain on the osmosis membrane and clog the filters. This is a necessary part for all reverse osmosis systems. When the water tank is full, this part stops the RO from working. This housing is for reverse osmosis membranes and fits in RO systems. It has one water inlet and two water outlets. One outlet is for the clean water and goes straight to the water tank. The other outlet is for the unclean water and goes down the drain. This 8 liter water tank stores RO's clean water under pressure. It runs fast enough from your tap. TDS meter is perfect for measuring aquarium, RO and softener water quality. Can store up to 12 litres of reverse osmosis's filtered water. PH meter measures Ph in your water. It is an ideal instrument if you are an aquarium owner, since fish can only live in a very specific environment. If you already have a Reverse Osmosis water filter installed but your pressure isn't high enough (below 45psi or 3 bar), then you should consider installing this water booster pump. It comes with a high and low pressure switch. This water pump is ideal for reverse osmosis systems that don't have a pre-installed pump. It's very easy to install this pump in just a few minutes. There are installation diagrams in the packaging. If you need any help though, please don't hesitate to contact us and we'll help you step by step. It comes with all necessary tubes and connectors. Low pressure protection stops the pump from working when there isn't any water at all (eg when there is a water service interruption). High pressure protection stops the pump from working when your reverse osmosis tank is full of water. This way you don't stress your RO and you extend your pump's life. Reverse osmosis produces water with zero conductivity and creates a healthy environment for your fish. It removes all harmful substances from your water. This 4-stage reverse osmosis is the best water filter for your fish! It creates a purified and clean water with zero conductivity. Reverse osmosis technology is currently the best water filtration technology in the world. It is reccomended for areas with very "difficult" water (salts, hardness, heavy metals, carcinogens, arsenic, nitrates etc). It comes with a 10 year warranty! This water treatment system is made by Ecosoft, a well established manufacturer with factories in Germany and Ukraine. This system is made by Ecosoft, a well established manufacturer with factories in Ukraine and Germany. Reverse osmosis technology is currently the best water filtration technology in the world. It is reccomended for areas with very "difficult" water (salts, hardness, heavy metals, carcinogens, arsenic, nitrates etc). This model has also an electrical pump that allows the RO to work faster. Ideal if you suffer from low water pressure.It comes with a 10 year warranty! With a permeability of just 0.0001 micron, this reverse osmosis removes all the harmful elements such as lead, nitrate, arsenic, chromium, microbes, microorganisms, cysts, bacteria, pesticides etc. from the water. All filters available are QUICK CHANGE, that is, fast change. It has an electric pump to withstand low pressure networks. Ideal for areas with severe water quality problems, even for drilling water. It has anti-flood protection as well as low and high pressure protection. It includes a pressure regulator to keep the system at the desired pressure to work seamlessly for a lifetime. It's incredibly stylish as all parts and filters are inside the plastic box. With this filter you will be able to enjoy the water of your home without fear of yourself and your family. Reverse osmosis technology is currently the best water filtration technology in the world. It is reccomended for areas with very "difficult" water (salts, hardness, heavy metals, carcinogens, arsenic, nitrates etc). This system has an electrical pump (which is ideal for low water pressure) and a UV light that kills all bacteria and microbes. It comes with a 10 year warranty! All filters are INLINE This means that they do not fit inside the filters, but they are autonomous, so they change easily and quickly. Dimensions: Height 437mm, Length 430mm, Width 110mm.